European model meanwhile allows around 25,000 employees to share in the company’s success. For years the voestalpine employee participation plan has been a uniquely successful concept and a model for Europe. As part of its ongoing international expansion, as of April 1 around 1,700 employees at the voestalpine companies in Spain and Sweden now have the option of participating in the development and success of the technology and capital goods Group as shareholders. The employee participation model is now established at almost 150 voestalpine companies in 12 countries, with around 25,000 employees participating in the plan. The voestalpine employee participation plan was established in Austria in the year 2000 as a joint project between the management and Works Council, as a means of guaranteeing a continued stable ownership structure after privatization and the Group’s IPO. As part of voestalpine’s transformation into a global technology and capital goods Group, a separate model was developed for the international voestalpine companies which has been continually rolled out since 2009. As well as the latest additions Spain and Sweden, this plan is now available to employees in the Netherlands, Germany, Great Britain, Poland, Belgium, the Czech Republic, Italy, Switzerland and Romania. "At voestalpine, it is the people who make all the difference. They are at the heart of our success. Hence our conviction that our employees should share in this success." At the time of the most recent Annual General Shareholders’ Meeting, 24,900 of the around 39,800 voestalpine employees in Europe held 26 million shares in voestalpine AG, and with it 14.5% of the voting rights, making them the second largest core shareholders in the Group. The strategic goal is to permanently unify 10% of all voting rights in order to ensure the Group’s future stable development and to allow any unwanted takeover to be prevented. 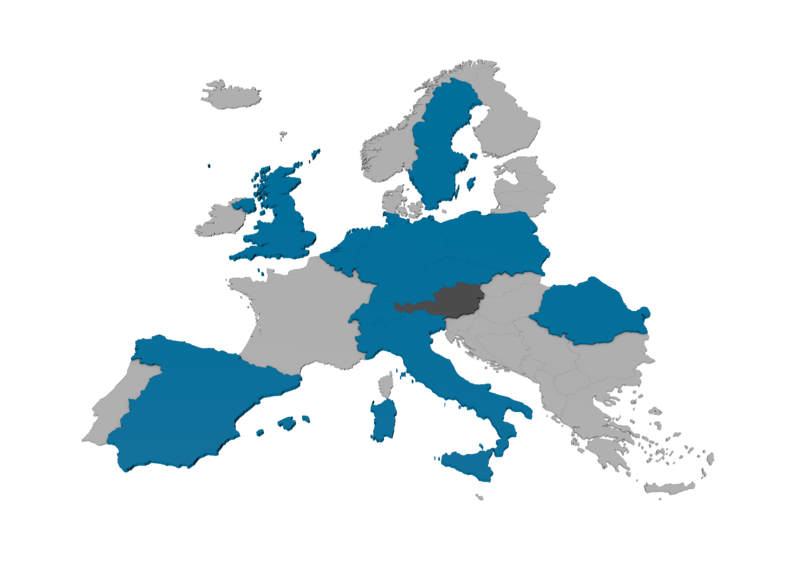 By owning their own shares, which are offered for purchase in Austria according to collective agreement solutions, and through annual purchase options in the international model, employees can both be part of fundamental corporate decision-making while also participating in the financial success of the voestalpine Group. Over the years the employee participation plan has also led to above-average identification with the Group amongst employees. 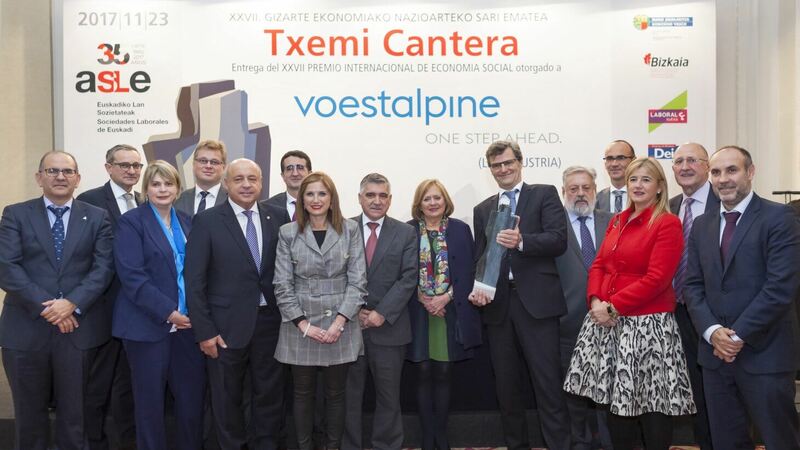 Last autumn in Bilbao, Spain, the voestalpine employee participation plan was awarded the International Prize for the Social Economy for its role as global pioneering model. The plan also serves as a model for the new Austrian Employee Participation Foundation regulation passed last year which strengthens the expansion of employee participation schemes with core shareholder functions. Max Stelzer (Chairman of the Management Board of the voestalpine Employee Participation Foundation), Josef Gritz and Paul Felsberger accepted the award together in Bilbao.